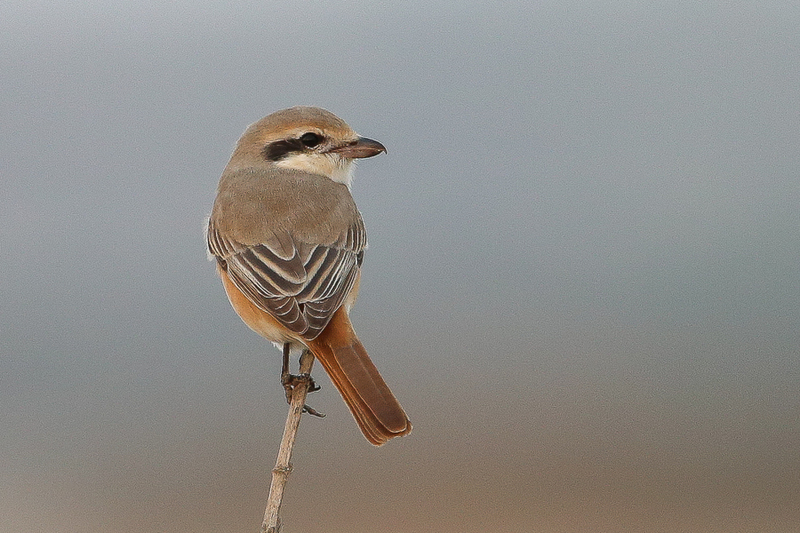 An increase in number of Daurian Shrikes has been quite noticeable in the Eastern Province in the last couple of weeks with good numbers seen at both Sabkhat Al Fasl and Dhahran recently. 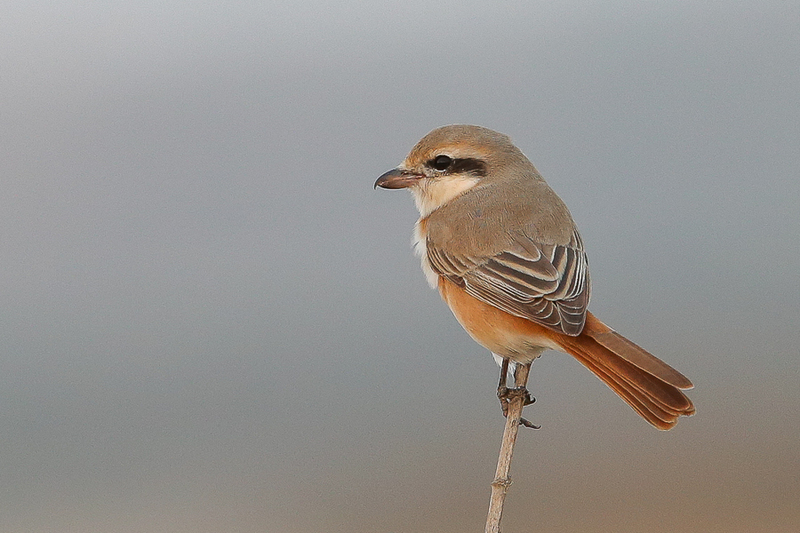 Most birds are young or females although a few adult males have also been seen. The lack of daylight in the evening when birding has made photography difficult but I managed to photograph this bird in the late evening light with reasonable results. Other new birds seen on the ‘patch’ recently include a couple of nice adult male Siberian Stonechats, a significant increase in the number of Tawny Pipits and very large numbers of White Wagtails, approaching 200 birds. A single Isabelline Wheatear was the first bird of this species I have seen in 2013 and the Red-tailed Wheatear remains in the same area of the camp.